This is one of my favourite summer time dishes. 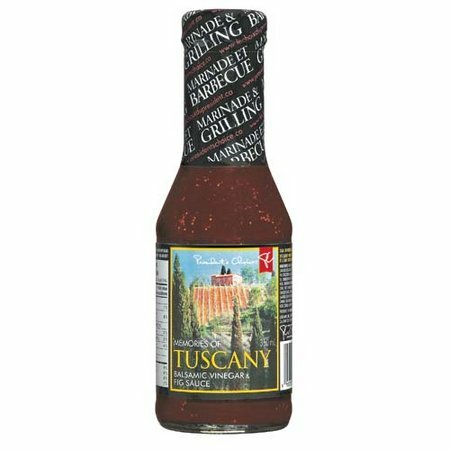 It’s a great accompaniment to any grilled meat. 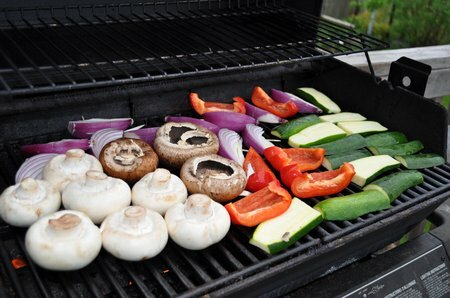 Grill your veggies on the BBQ. 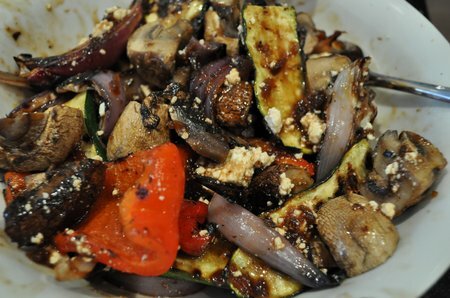 Then mix with a little Balsamic Vinegar and Fig Sauce, and a little crumbled Feta. The sauce is sweet and tangy, and the feta is salty. It’s a great, great combo, and delicious with a nice grilled steak. 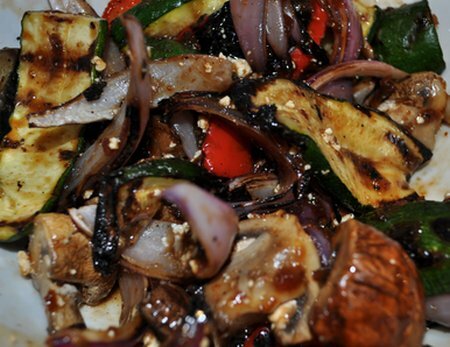 You won’t have any trouble eating your veggies if you make them this way! So simple and so delicious. Meat schmeat! How about this as a yummy sandwich filling (with fresh basil) or on top of greens Yum! Or, to top yummy homemade polenta. I’m off to buy peppers. . .
can you make this and ship it to me please?